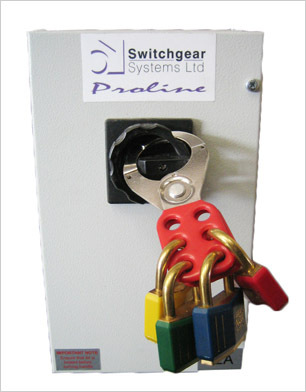 These are designed for use with either our brass shackle or aluminium coloured padlocks for isolating electrical switch gear or valves. Each hasp can take up to 6 padlocks allowing a unit only to be opened by a single person or set of people holding all the keys at once. 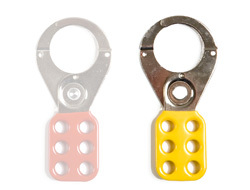 We have a single 1.5 inch size of lock-off hasp in stock but there is a 1 inch version available upon request. 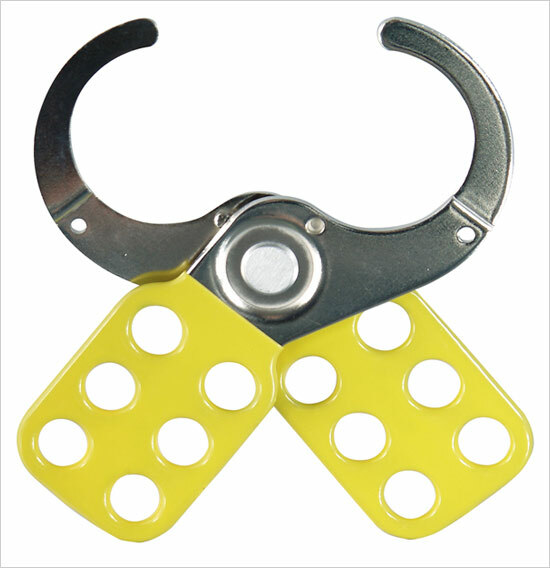 The lock of hasps prevent any one person without all keys to access a site, piece of machinery or unit. 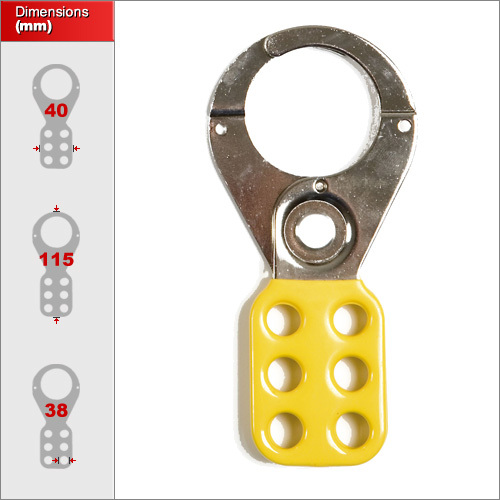 This is ideal to ensure equipment will stay inactive while repairs or adjustments are made and the hasp cannot be removed until the last worker has recovered the safety lock.